Sharpless 171, is a star-forming region some 3,000 light-years away in the royal constellation Cepheus. 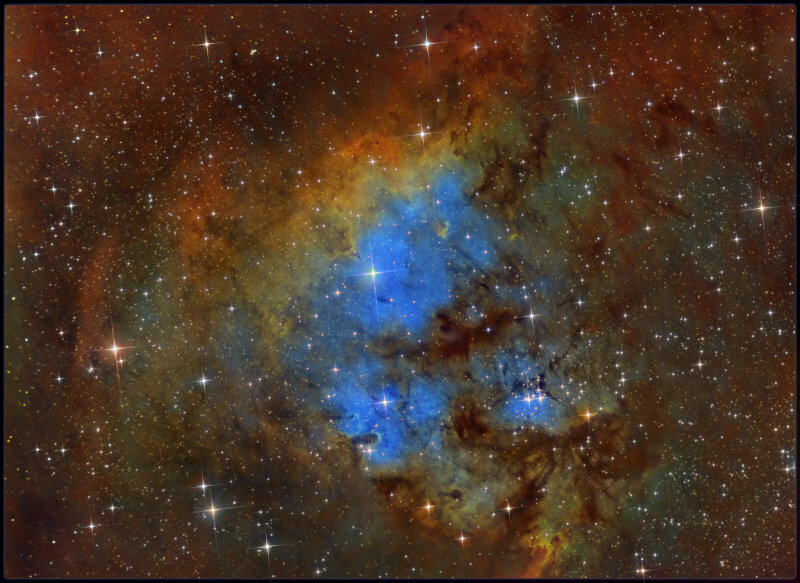 It spans about 20 light-years across the nebula's bright central region. It shows glow of emission from atomic gas using narrowband filters. Powering the nebular glow are the young, hot stars of a newly formed cluster, Berkeley 59. Total of 3Hrs 40 minutes.